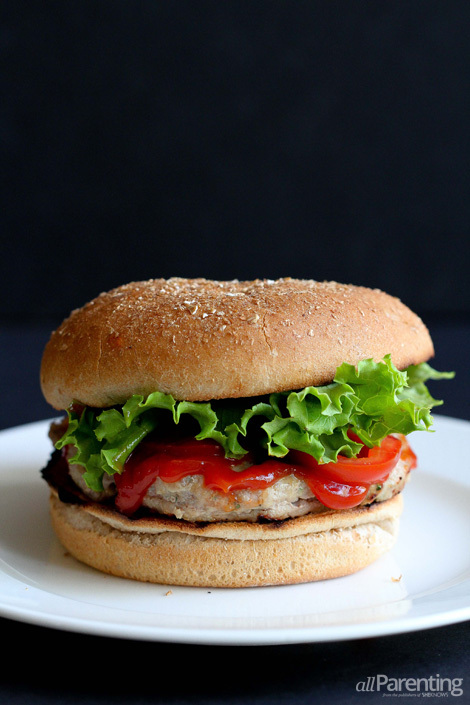 Everybody loves a good burger, but turkey burgers are notoriously boring. These ones are stuffed with cheese for a gooey, melted surprise inside. 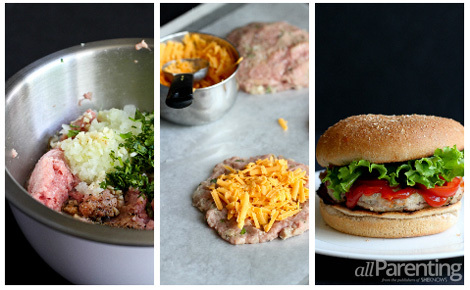 There is no reason that you should have to eat a dry, boring turkey burger ever again. In fact, when seasoned well with garlic, salt, pepper and a splash of Worcestershire sauce, they become even tastier than regular beef burgers. Why stop there? Tuck some grated cheese inside of the patties before cooking, and you and your guests will be treated to a melted cheesy center. This recipe uses cheddar cheese for the surprise inside, but switch it up if you wish. Gorgonzola cheese would lend a wonderful, sharp, more "adult" flavor while pepper jack would give the burger an extra bit of zip. No matter how good a burger is, it is the condiments and extra toppings that really make it into something special. Spread on mustard and ketchup, and pile on toppings such as grilled onions, avocado, bacon, tomatoes or lettuce. Preheat the grill or grill pan to medium-high heat. Lightly grease the grill. In a large bowl, stir together the ground turkey, onion, parsley, garlic, Worcestershire sauce, garlic, salt and pepper. Divide the turkey mixture into 4 equal parts. Divide each part into 2 parts, one slightly larger than the other. Form into patties that are about 1/2-inch thick. Divide the grated cheese between the 4 larger patties, making sure that the cheese stays within the border of the patty. Cover each with a smaller patty and gently squeeze to seal the edges. Place the patties on a baking sheet lined with waxed paper, cover and chill for at least 30 minutes. Place the patties, thicker side down to start, on the grill and cook until the turkey is no longer pink inside, about 3 minutes per side. Serve on the toasted buns, along with your favorite condiments, lettuce, tomatoes and/or grilled onions.